Do you long for longer nails but just can’t seem to grow them without your nails breaking? 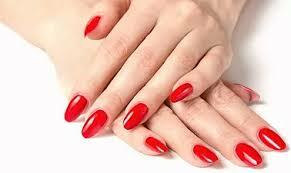 We’re on hand to help and can add instant length to your nails thanks to our nail extension treatments. We offer numerous options when it comes to extending and enhancing your nails, including techniques including layering the tips with liquid and powder, known as acrylic or hard gel, as well as sculpting your nails through the use of a nail form and the same acrylic or gel. We now can also enhance the nails with the Kiara Sky Acrylic Dip System. I’m sure you’ve seen Dip Powder nails trending all over social media, gaining millions of views and thousands of followers, especially (@kiaraskynails) Kiara Sky Nails. Kiara Sky Dip Powder is the newest and most innovative nail technique that requires no curing whatsoever and you still get that amazing shine or sassy matte look that you want. Kiara Sky is the #1 Best Selling Dip Powder in the World!. Get in touch if you have any questions about our nail extensions and which is right for you, or alternatively book an appointment to come in to the salon and see us online today.